Building better models for environmental decision-making: how can modellers & practitioners collaborate? In this post, Kevin Wood describes a Practitioner’s Perspective article on the joint development of individual-based models between modellers and practitioners: “Co-creation of individual-based models by practitioners and modellers to inform environmental decision-making” by Wood, Stillman & Goss-Custard. We live in an age of environmental change unprecedented in human history. Such change is due to an array of factors including climate change, growing human population size and resource use, land-use changes and intensification, habitat loss and fragmentation, pollution, and invasive species. Few would dispute that ecologists need to improve their ability to make predictions if we are to meet the challenges posed by a changing environment in conservation, natural resource management, wildlife management, and human socio-economic activities (Evans 2012). As part of this effort to improve our ability to make predictions in ecology, individual-based models (IBMs, also known as agent-based models) have become increasingly popular in recent decades (Stillman et al. 2015). IBMs are powerful tools for simulating the actions and interactions of individual organisms, and examining how population-level consequences emerge from individual-level behaviours. 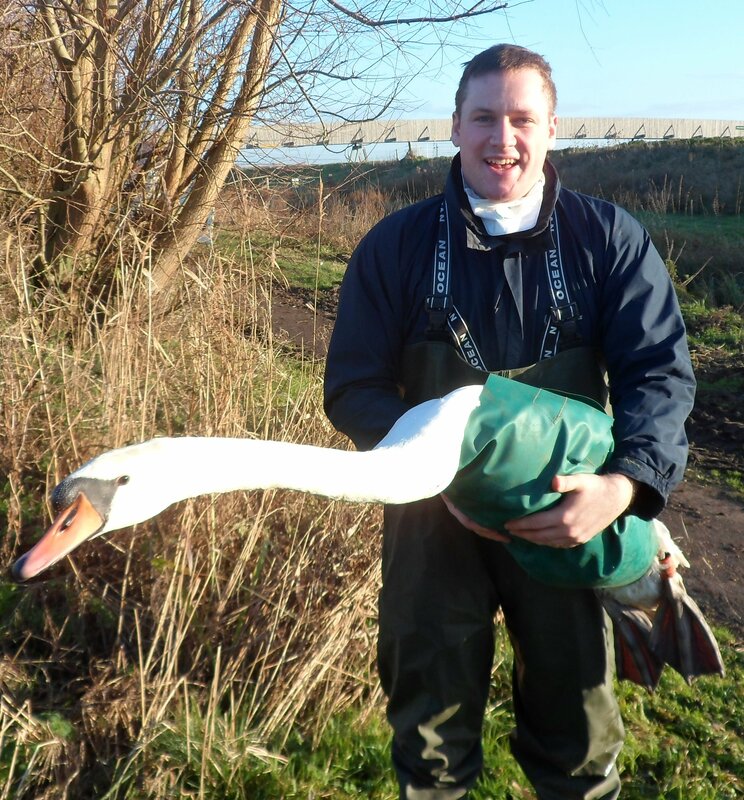 The author with a mute swan Cygnus olor, one of the study species for which an IBM of herbivore foraging behaviour has been developed recently (Wood et al. 2014). Thanks to rapid advances in computational power, ecological theory, and the availability of data, ecologists can produce increasingly complicated, sophisticated IBMs. However, there are no guarantees that such models will be more useful in informing environmental decision-making. Complex ecological models, such as IBMs, almost always require specialist computational knowledge to build, test, and analyse. Unfortunately, these requirements put IBMs beyond the reach of many practitioners, as they are unlikely to have the skills needed to use IBMs directly. Yet practitioners’ input into the modelling process is highly desirable, as they often have greater knowledge of the system being modelled and the applied issue being addressed. So, how can modellers and practitioners collaborate more effectively to develop the models needed to inform environmental decision-making? 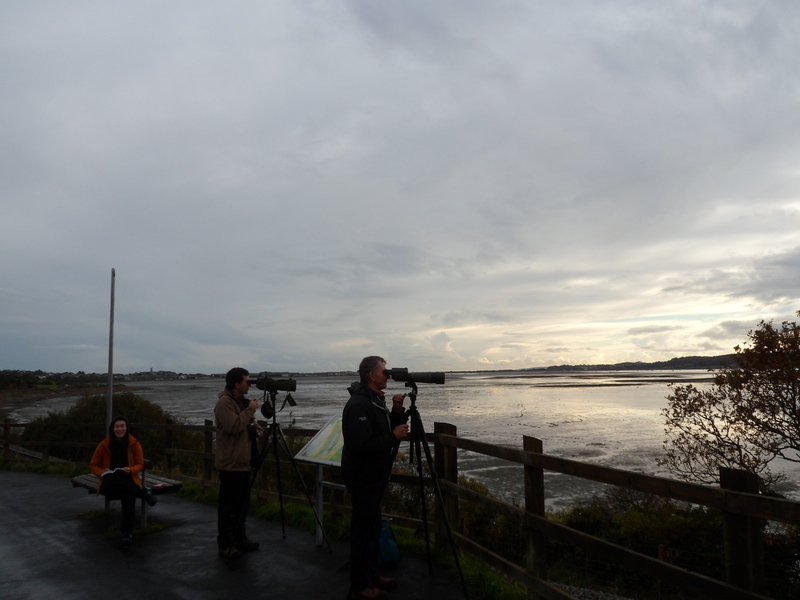 Members of Bournemouth University’s Individual-based Ecology Group collecting data on wading bird abundance and behaviour for an IBM used to inform coastal bird conservation. Based on our experiences of developing models with a range of environmental stakeholders, we have proposed a framework to allow practitioners and modellers to co-create IBMs to inform environmental decision-making (Wood, Stillman & Goss-Custard 2015). Our framework offers guidance on each of the key stages of model development and use: (i) framing the question of interest, (ii) the required data and how to obtain them, (iii) building and running models, (iv) model testing, sensitivity, and refinement, and (v) communicating the model and its predictions. At each stage we stress the importance of collaboration between the modellers and practitioners, and suggest ways of ensuring that such collaborations are meaningful and effective, rather than tokenistic. We hope that in encouraging the collaboration of modellers and practitioners, our framework will help to unlock the full potential of IBMs as predictive tools to inform environmental debate and decision-making. Evans, M.R. (2012) Modelling ecological systems in a changing world. Philosophical Transactions of the Royal Society B-Biological Sciences, 367, 181-190. View. Stillman, R.A., Railsback, S.F., Giske, J., Berger, U. & Grimm, V. (2015) Making predictions in a changing world: the benefits of individual-based ecology. Bioscience, 65, 140-150. Wood, K.A., Stillman, R.A., Daunt, F. & O’Hare, M.T. (2014) Can sacrificial feeding areas protect aquatic plants from herbivore grazing? Using behavioural ecology to inform wildlife management. PLoS ONE, 9, e104034. View. Wood, K.A., Stillman, R.A. & Goss-Custard, J.D. (2015) Co-creation of individual-based models by practitioners and modellers to inform environmental decision-making. Journal of Applied Ecology. DOI: 10.1111/1365-2664.12419. View.